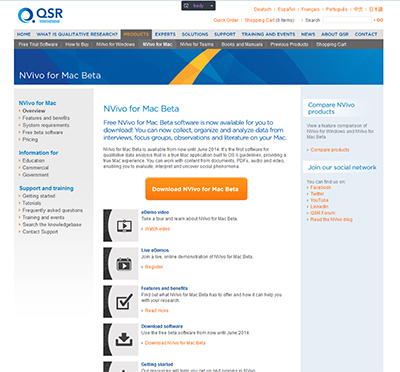 QSR International, the makers of NVivo, recently released the NVivo for Mac (beta). To learn more and download NVivo for Mac Beta, visit the official site. Those who participate in the beta-testing phase (March – May 2014) will be invited to provide feedback to QSR International about this qualitative and mixed methods data analysis software.